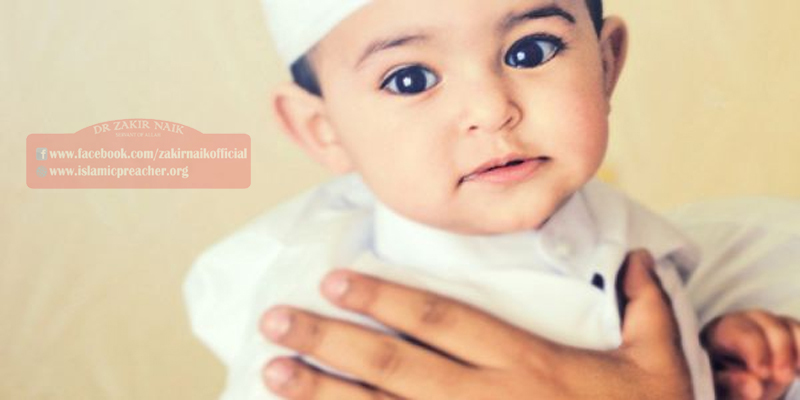 It is well known that adoption was permitted at the beginning of Islam, then there came the texts which prohibited it and enjoined that children should be attributed to their fathers, and it is haraam to attribute them to anyone but their fathers. But that does not rule out love, brotherhood, care and upbringing. From the above it is clear that banning adoption does not mean banning sublime feelings and Islamic rights such as brotherhood, love, upholding the ties of kinship, kind treatment and all other principle that have to do with noble characteristics and inspiration to do good. A person may say to someone who is younger than him “O my son” as a way of showing kindness to him and expressing care and compassion, so that he may feel comfortable with him, listen to his advice or get him to do something for him. And he may say to someone who is older than him, “O my father” by way of honouring him and softening his heart towards him so that he may receive kind treatment and sincere advice from him, and he may get his support and help. Thus good manners will prevail in society and the ties between people with be strengthened, and all people will feel a sense of sincere brotherhood in humanity and faith. and the Prophet (peace and blessings of Allaah be upon him) said: “The likeness of the believers in their mutual love, mercy and compassion is that of the body; if one part of it feels pain, the entire body joins it in fever and sleeplessness.” Narrated by Ahmad and Muslim. And he said: “The believers are like a single structure, parts of which support others.” Narrated by al-Bukhaari, Muslim, al-Tirmidhi and al-Nasaa’i. That includes taking care of orphans, the needy, those who are unable to earn a living and those whose fathers are not known, by looking after them, bringing them up and taking care of them, so that there will be no one in society who is suffering or neglected, and that will help the ummah (wider community) to avoid the bad consequences of children being brought up in a very bad way, who may rebel against society because they feel that they have been harshly treated or ignored by society. Muslim governments should set up homes for the unemployed, orphans, foundlings and those who have no breadwinner, and those who come under the same rulings as them. If the bayt al-maal (treasury) does not have enough funds to take care of their needs, then they should seek help from those members of the ummah who are well off. The Prophet (peace and blessings of Allaah be upon him) said: “Any believer who leaves behind wealth, it is to be inherited by his kin if he has kin, and whoever leaves behind a debt or dependents, let them come to me for I will take care of them.” Narrated by al-Bukhaari. 1 – You should not call this action “giving” (in the sense of giving a gift), because you do not own yourself, let alone your son. All of creation belongs to Allaah and they are His slaves, so no created being has the right to give that which he does not own, and the one who does not own something cannot give it. Hence we think that you, your sister and your family should use the word “bring up” or “looking after”, and say that the paternal aunt of the child is the one who is bringing him up and looking after him, and you are the one who has handed over the child to your sister to look after him and take care of him, but it is a not a gift or a present. 2 – We do not think that you should cut off ties completely with your son so that you forget him and he forgets you and does not ask for you. Rather you should not deprive him of the rights that he has over you as his father, and you should take an interest in him and ask about him, so that the bonds of love that Allaah has created in the hearts of the sons of Adam will continue over the years and despite distance, because we are afraid that with the passage of time you may become cut off from your son and that will cause him to feel hurt and sad, and those feelings may lead to a real severance of ties or psychological problems which you have no need of, and the main victim of that will be this son. Or the opposite may happen: when the child begins to understand and discern things, he may want to go back to his parents and continue to live under their care, which will cause a great deal of hurt to your sister who brought him up and became attached to him and spent many years looking after him and taking care of him, then suddenly she loses this hope after many years. If you think it most likely that these things will happen, then we do not advise you to follow this path, but we cannot forbid you or tell you not to do it, as there is no shar’i evidence to that effect. But paying attention to the psychological aspects of the matter and the possible negative consequences is essential to avoid hurt and harm. Thank you Mr Zakir Naik for this powerful advice. I could have seen myself in error.